Alec Ryden was just named one of New Jersey’s high school best golfers by the Professional Golfers’ Association of America. Photo courtesy of Alec Ryden. Alec Ryden has been on the putt since he was scarcely old enough to walk. He said it all started when he was a toddler and his parents took him to play mini golf. He was hooked ever since. 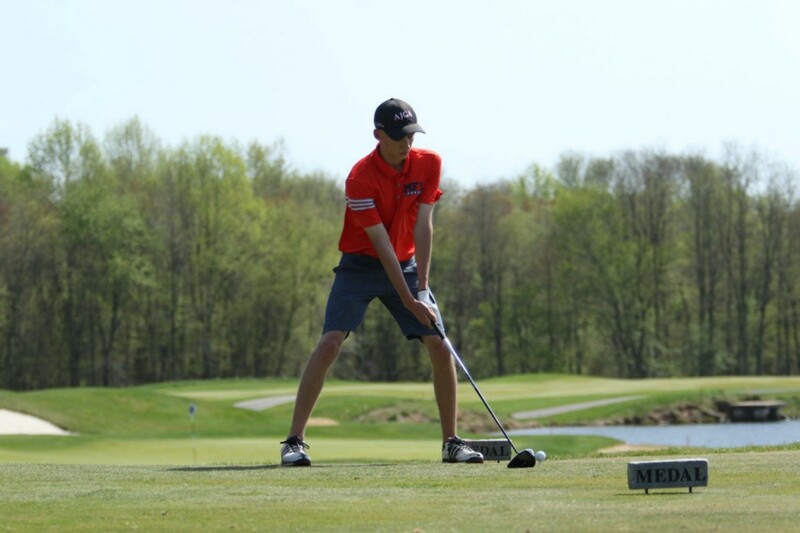 Now a senior at Moorestown Friends School, Ryden was just named one of New Jersey’s best high school golfers by the New Jersey Professional Golfers’ Association of America. Ryden was named Boys Second Team All State for his championship scores during his spring 2018 season. Ryden said his official golf career began at the age of 6. His parents brought him to their local country club for a round of golf, and Ryden immediately had a knack for the game. Despite being younger than his fellow golfers, the club allow Ryden to join a team consisting of players ages 8 through 10. Between 6 and 9, Ryden played with the club team and participated in golf camps. At age 9, Ryden began playing competitively and has been on the tournament scene ever since. Ryden currently serves as captain of the golf team at MFS. The Moorestown resident said his favorite aspect of the sport has never been the physicality. In Ryden’s eyes, the sport is 75 percent mental. Joe O’Hara, Ryden’s golf coach at MFS, said the mental aspect is where Ryden excels. He said Ryden isn’t detered when a hole doesn’t go his way. O’Hara said Ryden has a quiet demeanor, but he leads by example in his role as captain. He said Ryden is not only naturally talented, but he works hard at the sport. He plays year-round and travels to tournaments around the country. O’Hara said Ryden has become such a talented competitor because of the hard work he’s willing to put in. Ryden has consistently been the team’s top golfer, and every year he has competed with MFS, Ryden has ended the season with the lowest average score on the team. At the NJSIAA Tournament of Champions, Ryden placed in the top 25 golfers. O’Hara said golfers who rank in that bracket typically go on to compete at a Division 1 level in college. As such, O’Hara wasn’t shocked to learn Ryden was named all state by the PGA. “It’s a well-deserved honor,” O’Hara said. When Ryden isn’t practicing on the course or doing two to three hours of strength training a week, he’s still immersed in the game. In his free time, Ryden can be found looking up the professionals on YouTube and researching ways to improve his game. While Ryden isn’t sure if he’ll make a career out of playing golf, he said he’d be interested in pursuing the business side of the sport. For Ryden, the PGA ranking came as quite the shock having only learned the news through social media. He said his focus has been solely on his own game and playing well, and to earn the designation from the PGA is another step in the right direction. “It means a lot to me; it allows me to create a name for myself and to put my name out there,” Ryden said.